Wow, was this book astonishing! 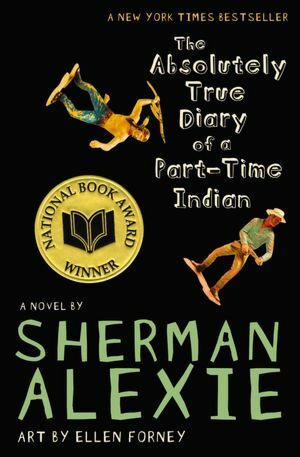 I absolutely loved The Absolutely True Diary of a Part-Time Indian. It was witty, funny, and relatable, and those are some qualities that I just adore in my books. I can definitely see why so many people read it proudly and why so many schools endorse it as required reading. For a brief summary of the novel, it is about a boy named Junior, who has been growing up on an Indian reservation. To prove to others that Indians don’t need to be confined to their own spaces, he decides to start attending the predominantly white school across town, and he is astonished at what happens. I couldn’t help but adore the character that was Junior. He was relatable, charming, and hilarious (in an amazing way! ), and I also loved the fact that he loved BOOKS! I also found him to be quite the risk-taker- it takes serious guts to be able to do what he did in trying out a predominantly white school being Indian, and he always kept on a brave face. Lastly, his development by the end of the book was phenomenal, as he became so much prouder of himself and his culture! The plot, though not necessarily the strongest, ran smoothly and quickly. I basically soared through this book’s fine pages; I loved it so much and I barely wanted to put it down, even if my life depended on it! If you are on the lookout for a diverse story with a relatable protagonist and strong morals, then TATDOAPTI is for you. I know I will remember this one for years to come because of its pure awesomeness, engaging writing style, wit, charm, and diverse themes. Great review! And talk about a book that’s been on my TBR FOREVER!!! I cannot believe I haven’t read this yet, but your review reminded me it’s something that I definitely need to do, so thank you for that! I had to read this book for school in eighth grade, but I remember it being one of the few books I liked that year. Glad you enjoyed it!